Dehydrate your jalapeños and use for cooking this winter. I was sad to pull up my zucchini last week and now I'm getting ready to pick the last of my jalapeños. Since there are just so many jalapeños you can pop in your mouth, you may want to save them for cooking this winter. It just takes a few slices of dried jalapeños to spice up that chili or to make a spicy, Italian "fra diavolo" tomato sauce. So before it gets too cold, I picked a bunch of my precious peppers and dehydrated them. When you slice your jalapeños, they will give off fumes that can be quite caustic. As a precaution, I wear a mask. You should also be very careful not to touch the cut pepper slices or seeds. You will undoubtedly forget that you did until you go to rub your eyes - ouch! I wear a mask when cutting jalapeños. You can also tie a handkerchief or bandana across your face. First, wash and dry your peppers. Put on your mask (or at least tie a bandana across your face). Holding the stem, being very careful not to touch the pepper, cut the jalapeños into thin, 1/8th inch slices. They can be a bit thicker but will take longer to dehydrate. Hold on to the stem so that you don't touch the pepper. You can also wear rubber gloves. Pour the sliced peppers onto a non-stick dehydrator sheet. Spread out, using a fork, so they have room and will dry evenly. Spread out so they dry evenly. Dehydrate at 115 degrees F to maintain more of their vitamins and phytochemicals. It will take about 6 to 8 hours (or longer depending on how thick they were cut) until they are nice and dry. Once they are dehydrated, place them in a jar and store. I like to keep them as slices but you can certainly grind them into a powder that is similar to cayenne. Store in a cool place. Throw a few slices in any dish that needs a little zip. They will rehydrate as they cook. Capsaicin is the compound that makes jalapeños hot. It is also the compound that has many health benefits such as relieving congestion, fighting inflammation, helping you burn fat by stepping up your metabolism and more. To read more about jalapeños, check out Jalapeño Madness. Roasted parsnip, sweet potato, Yukon gold potato & carrots. Nothing screams "autumn" more than root vegetables. And there's nothing quite like the aroma of them roasting in the oven with rosemary. It makes you feel a little better about the summer ending and the cooler weather ahead. Here's a simple recipe that's perfect for Thanksgiving dinner or just a casual home-cooked meal. Select your favorite root vegetables. Your cooking time will depend on how small you dice your vegetables. A half inch dice is a nice size. Place all of the ingredients in the roasting pan and toss them until the vegetables are well coated with oil and the seasoning is evenly distributed. If you use a non-stick roasting pan, you can use 1 tablespoon of oil. Otherwise, you may want to use a bit more. (You can mix the ingredients in a bowl before pouring them onto the roasting pan if you wish but I prefer to use fewer dishes). Spread out so the vegetables cook evenly. Per serving (with 1 tablespoon oil): 156 calories, 3.9 g fat, 0.6 g saturated fat, 0 mg cholesterol, 2.8 g protein, 30 g carbohydrates, 6 g dietary fiber and 338 mg sodium. Per serving (with 2 tablespoons oil): 185 calories, 7.4 g fat, 1.1 g saturated fat, 2.8 g protein, 30 g carbohydrates, 6 g dietary fiber and 338 mg sodium. Portobello - Italian vegan restaurant in Portland, OR. As I'm sure I've mentioned before, Portland, Oregon has some of the best vegetarian restaurants I've ever enjoyed anywhere! This weekend's visit to Portobello, a vegan Italian restaurant in south east Portland, only confirmed this. And my high opinion of this restaurant is shared by many others. Portobello has a 94% rating on Urban Spoon and a 4.5 star rating on Yelp, TripAdvisor and Open Table. Besides the tables in the front of the restaurant, they have a little private dining room in the back that accommodates around 10 to 12 people. You can enjoy a very casual dinner with burgers or pizza or a much more formal, multi-course dinner of appetizers, salads, main course dishes and desserts at fairly reasonable prices. They also have a full bar. The restaurant also offers a chef's 5 course tasting menu for $40 with wine pairings for an additional $25. With 9 of us, we decided to order from the menu so that we could try more dishes. Many of the dishes contain mushrooms - after all the name of the restaurant is "Portobello" so if you are not a mushroom lover, you will have fewer menu choices. Many also use nuts to make vegan cheeses so if you have nut allergies, you will also have to avoid those dishes. There are many gluten free options on the menu that are clearly marked as such. The appetizers were amazing and you could certainly be happy just going there for drinks and some small plates. Here are some of the ones we enjoyed. Beets, carrot aioli, and capers with cashew cheese & baguette. White trumpet mushrooms fries with tomato-basil sauce. They also offer a cheese plate with a sampling of four artisan vegan cheeses. The main courses varied from simple burgers or pizza to hearty entrees. Portobello burger on a gluten free bun with tomato-basil sauce, braised greens and cashew cheese. with fall vegetable ragout, spinach, balsamic steak sauce & fried onions. with sweet potato mash, corn on the cob & braised kale. with baby broccoli, tomato-basil sauce, garlic & basil. They also offered 4 different pizzas (Cheesey Pie, Last Chance Heirloom Tomato Pie, Spicy Arrabiata and Mushroom Pesto Pie), several salads (Side Arugula, Caesar Novus, Beet, Fennel & Hazelnut Salad and Butternut Confit with Brussels, Grilled Grapes and Walnuts). and some side dishes (Pommes Frites, Braised Kale, Sweet Potato Mash and others). Many of these dishes are seasonal so this menu is just a snap shot of their offerings. 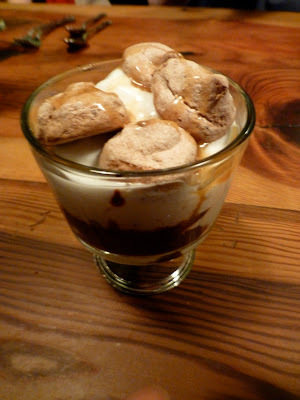 After stuffing ourselves with these amazing offerings, we managed to try a few desserts. salted caramel ice cream topped with hot fudge, coconut whipped cream & chocolate meringue. rum and coffee soaked cake, vegan mascarpone, chocolate. Other desserts include a Chocolate Ginger Berry Bombe, Financier with Chai Ice Cream and a selection of vegan and gluten free ice cream and sorbet. They also offer a nice selection of dessert wines, digestifs and liqueurs and, of course, coffee and tea. A big thanks to my daughter-in-law, Karina, for knowing what foods I love and for finding this wonderful restaurant. It was a delicious and memorable dining experience and I will definitely return! If you enjoy vegan cuisine, this restaurant should be high on your list when visiting Portland. You can also read my review of the Blossoming Lotus, another wonderful vegan restaurant in Portland. Applesauce is easy to make and so delicious! At 56 calories per 1/2 cup, it's a perfect snack or dessert. Last weekend we were at the Sonoma County Harvest Fair and saw lots of beautiful apples. If there are apples ripening where you live, it's a perfect time to load up and make some applesauce for the winter. We were able to taste many different apples at the fair. We're also lucky to have a Fuji apple tree that just presented us with some very sweet, ripe apples. We stored the good ones in the crisper drawer in the refrigerator (some say you should place a slightly damp paper towel over them - I'll give that a try). But we had some with worm holes and other damaged spots. Since we didn't want to contaminate the good ones (you've heard the old adage, "one bad apple...."), we used those for making applesauce. Our first harvest of Fuji apples from our young tree. Sugar isn't necessary for canning applesauce. Sweet apples like Fuji's surely don't require it. You can always add sugar, stevia, cinnamon or nutmeg when you serve it so by canning it without sweeteners or seasonings you have more options on how you use the applesauce. For example, we use it to replace some of the oil in baking. If a recipe calls for 1/2 cup of oil, we use 1/4 cup of oil and 1/4 cup of unsweetened applesauce. There are several ways of making applesauce. Some cook the apples without peeling them and then put them through a sieve or food mill in order to eliminate the seeds and peel. I don't have a food mill so today I'm doing it all by hand. Before starting, fill your hot water canner and start heating it. They are big and take a long time to bring to a boil. Peel, core and dice the apples. Each quart of diced apples (about one and one half pounds before peeling) produces 1 pint of applesauce. This of course could vary with the type of apples you use and how finely you dice them. Place the diced apples in a large pot with a tiny bit of water to prevent sticking. For 6 quarts of diced apples I used 1/2 cup of water. Place in a large pot with some water. As soon as you place each quart of diced apples in the pot, sprinkle a tablespoon of Fruit Fresh Produce Protector on the apples and stir well. Besides it keeping the applesauce from browning, it adds significant amounts of vitamin C (each 1/4 teaspoon provides 230% of the daily requirement). 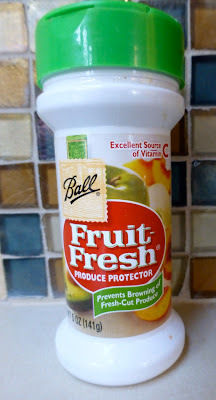 Of course some amount of the vitamin C will be destroyed during the canning process but if you add 1 tablespoon per quart of diced apples, that's 3/4 of a teaspoon per serving or 690% of the daily requirement so even if some gets destroyed you should still get plenty of this important antioxidant vitamin. Sprinkle produce protector on the apples to prevent browning. Bring the apples to a boil and cook until they soften. The time will depend on the type of apples and how many are in the pot. It took me over 30 minutes to cook my apples. Cover the pot to shorten the time and stir frequently. Cook apples until they get really soft. Once they are soft, you can either mash them to the desired consistency with a potato masher or a hand held immersion blender. Immersion blenders work well to achieve the desired consistency. I blended mine until it was nice and smooth. Once you reach the desired consistency you are ready to can. I blended mine until it was nice and smooth but you can leave big chunks in it too. At this point, if you prefer, you can add seasonings like cinnamon or nutmeg or stevia, sugar or other sweeteners. Wash the jars, new lids (never reuse them) and bands in hot, soapy water and rinse. Keep them in a saucepan with hot water and simmer until ready to use. Ladle the hot applesauce into the hot jars leaving 1/2 inch of headspace. Make sure you remove any air bubbles that form. Clean the rim of the jar with a clean damp towel. Place the lids on the jars and screw the bands on but not too tight. Using a jar lifter, place the jar in a hot water canner. Process pints from 0 to 1,000 feet altitude for 15 minutes, quarts for 20 minutes. Process pints from 1,001 ft to 3,000 feet altitude for 20 minutes, quarts for 25 minutes. After processing, remove the jars using a jar lifter and cool on a rack. Write the contents and date on the lids with a magic marker and store in a cool place. I prefer rollups over lasagna when cooking for 2 to 4 people. Lasagna is one of my "go to" meals when I have a crowd. It takes a lot of preparation and I generally make enough to feed a small village. But if I'm only cooking for the 2 of us I don't want to go through that much trouble. Rollups are a good solution as they are much easier to make and 8 of them fit nicely in an 8 inch square pan - enough for 4 servings. By blending firm tofu with some nutritional yeast, salt and pepper, you end up with a great ricotta substitute. This works well if you are lactose intolerant and can no longer eat cheese. If I were making this ricotta for a dish that wasn't also using pesto, I would add some granulated garlic and would pulse in some fresh parsley or basil at the end. For a shot of omega-3, you can also add a flax egg (1 T ground flax seed and 3 tablespoons of water). I use Wildwood SprouTofu but any firm tofu will do. The flavor of this dish comes from pesto. You can use any kind you'd like. I happen to have some vegan cilantro pesto left over from a photo shoot so I used that. But basil and walnut pesto (below) would probably be more traditional for a lasagna rollup. Pesto provides the flavor in this dish. Fill a large pot with water and 2 teaspoons of salt. Bring to a boil and cook pasta for several minutes less time than called for so that the noodles are flexible but durable. If using Tinyada, cook for 10 to 13 minutes and not 15 as called for. Rinse in cold water and set aside. Make the ricotta. Place the tofu, nutritional yeast, 1/4 teaspoon of salt and black pepper in a food processor fitted with an S blade. Process until smooth scraping down the sides when necessary. Place in a bowl and set aside. Clean the food processor so you can make the pesto. Make the pesto. Place the clove of garlic in the shoot of a running food processor. Add the remaining pesto ingredients and process until smooth scraping down the sides when necessary. Set aside. To make the rollups, place 1 cup of tomato sauce in the bottom of an 8 inch square baking dish. Place a cooked noodle on a flat surface. Spread 1/8th of the tofu ricotta over one side of the entire lasagna noodle. Then spread 1/8th of the pesto over the ricotta. Roll up the noodle and place in the pan with the seam of the noodle facing down. Repeat until all the noodles are filled and in the pan. Spread tofu ricotta over the noodle. Then spread pesto over the ricotta and roll it up. 8 rollups fit perfectly in an 8 inch square pan. Cover with the remaining sauce and bake. Cover the rollups with the remaining 1 cup of tomato sauce. Cover the pan tightly with aluminum foil and bake in the oven until hot and bubbly, about 45 minutes. Remove the foil and top with sliced basil and serve. After baking, top with fresh basil and serve. Two rollups is one serving. 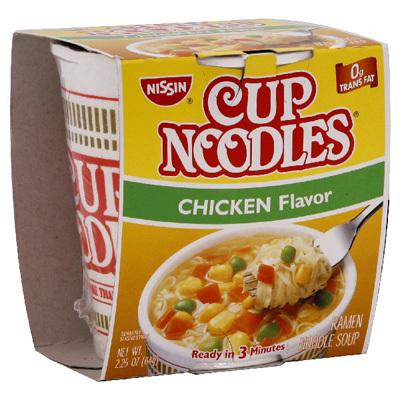 Per serving: 425 calories, 15.7 g fat, 1.8 g saturated fat, 0 mg cholesterol, 17.4 g protein, 54.1 g carbohydrates, 5.8 g dietary fiber and 336 mg sodium (sodium is calculated using no salt added tomato sauce). 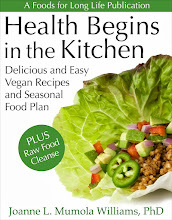 This delicious raw salad uses very nutritious greens. My friend and neighbor has the most wonderful fig tree. By the end of the summer we are usually swimming in big, juicy figs. This summer, for some reason, they never came. But yesterday, after much anticipation, I received a big bowl of this delicious fruit! If you are lucky enough to have access to local, fresh figs, here's a lovely salad to make with them. You many remember my article on selecting salad greens that showed how arugula and romaine lettuce were among the most nutritious of all salad greens. This salad uses a combination of both. * I think the honey in this recipe tastes better than the agave nectar but for vegans who avoid honey, you can make it with agave. Make the salad dressing by combining all the dressing ingredients in a small bowl and whisking until they are well combined. To make the salad, clean the greens and chop the romaine lettuce into bite-size pieces. Place the arugula, romaine lettuce and fig wedges in a large bowl. Add the desired amount of salad dressing and toss until well coated. Divide the salad onto 2 to 4 plates. Top with the avocado slices and walnuts. Top with freshly ground black pepper, if desired, and serve. Per serving (4 servings): 168 calories, 11 g fat, 1 g saturated fat, 819 mg omega-3 and 3511 mg omega-6 fatty acids, 3 g protein, 24 g carbohydrates, 4 g dietary fiber and 161 mg sodium. How To Avoid Consuming Too Much Sodium - It's Not Just Coming Out Of Your Salt Shaker! And, Do Raw Foodists Get Enough? * Damage to the arteries such as hardening of the arteries and even aneurysms. * Damage to the heart such as coronary artery disease, an enlarged left ventricle and eventually heart failure. * Damage to the brain which could lead to strokes, dementia and other forms of cognitive impairment. * Damage to the kidneys which can cause kidney failure or an aneurysm in the kidney artery. Sodium was in the news again a few weeks ago when researchers with the Centers for Disease Control and Prevention discovered that children were consuming as much sodium as adults and that the ones consuming the highest amounts had two or three times the risk of having high blood pressure. Some scientists say that having hypertension as a child increases the risk of having it in adulthood. But it should be no surprise that children's health issues, like obesity and high blood pressure, are mimicking those of their parents as they are sharing the same diet and often their inactive life style. Before we discuss how to limit sodium, it's important to know that sodium plays a key role in regulating body fluid, blood pressure, blood volume and acid-base balance. It is important for muscle contraction and nerve conduction. If you didn't get enough sodium, you might experience low blood pressure, muscle cramps, dizziness and nausea. So getting too little sodium could be a problem too! Not all diets are high in sodium. Raw food diets that rely mainly on unprocessed foods such as raw fruits, vegetables, nuts and seeds can actually be low in sodium. When I was writing my dissertation on "The Nutritional Adequacy of a Raw Food Vegan Diet", I noted that raw foodists were actually at risk for low sodium consumption unless they included table salt or soy sauce in their diet. Even raw beets, one of the vegetables highest in sodium, only has 106 mg per cup. The Institute of Medicine (IOM) recommends 1500 mg of sodium per day as the Adequate Intake level and suggests an upper limit of 2300 mg or about 1 teaspoon of salt per day. 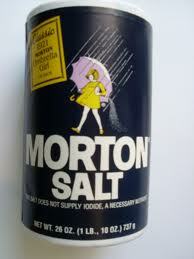 (The average daily sodium intake for Americans age 2 years and older is 3,436 mg per day). They also recommend the consumption of potassium-rich foods which counteract some of sodium's effect on blood pressure levels. * Those over 51 years of age. * Those with high blood pressure, diabetes or chronic kidney disease. If you are eating out often, I can pretty much guarantee you are getting too much sodium. When Doug and I eat out, we immediately gain a pound or two just from the excess water we retain from consuming too much sodium. Even the best chefs are heavy handed when it comes to salting their dishes. Do you ever watch the Biggest Loser? Their contestants loose tons of weight in their first week and although the trainers would like to attribute most of it to their new low calorie diets and workout routines, much of that weight loss is from the amount of water they are no longer retaining because they are eating more fruits and vegetables and less processed foods. Salt contains 2325 mg sodium per teaspoon. 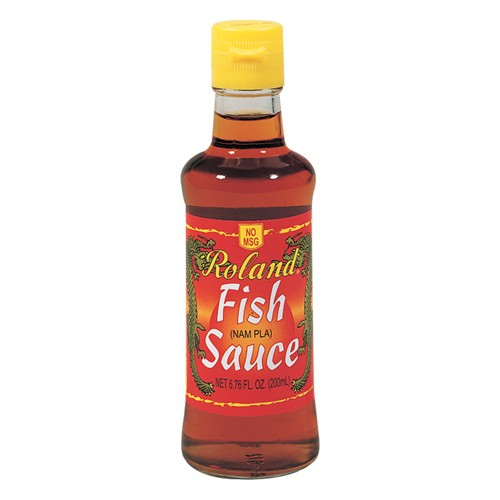 Asian cooking can be very high in sodium since it uses soy and fish sauces that are packed with it. Try selecting the reduced sodium versions of these sauces when cooking. Tamari soy sauce contains 1006 mg of sodium per tablespoon - equivalent to a bit less than a teaspoon of salt. Fish sauce contains 1390 mg of sodium per tablespoon. Many bouillon cubes are very high in sodium. Note the serving size when checking the label. One large Rapunzel vegan bouillon cube is actually considered 2 servings. This large bouillon cube contains 2020 mg of sodium. Breads and baked goods can be very high in sodium because they contain baking powder and/or baking soda. It's hard to notice how high it is since the serving size on their label is only 1/8th of a teaspoon! Baking powder contains 440 mg of sodium per teaspoon. Baking soda contains 1280 mg per teaspoon. Salad dressings can contain lots of salt, cheese, even anchovies - all of which contribute to the sodium content. Newman's own family recipe Italian dressing contains 360 mg of sodium per 2 tablespoons. Bacon, hot dogs, salami and other cured meats are extremely high in sodium as well as other unhealthy ingredients. 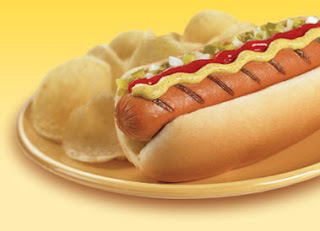 A Hebrew national beef frank contains 460 mg of sodium. Their jumbo beef frank contains 810 mg. But meat substitutes can also be very high in sodium. Field roast sausages contain up to 600 mg of sodium each. A 4 oz serving of their Celebration roast contains 710 mg.
Salmon and anchovies are both excellent sources of omega-3 but unfortunately they can be very high in sodium. Salmon is far healthier baked than smoked. 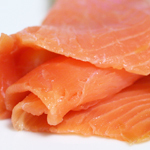 2 ounces of chinook, smoked, contains 1133 mg of sodium. An ounce of anchovies contains 1036 mg.
Who didn't make their way through college without eating ramen noodles? Besides sodium, they contain monosodium glutamate. One cup of noodles contains 1060 mg of sodium. 1 block of Maruchan ramen noodles contains up to 1900 mg. The amount of sodium in cheese varies with the type, but cottage cheese, parmesan, feta and asiago rank among the highest. For a comprehensive list of the sodium content in popular cheeses, check out fatsecret. 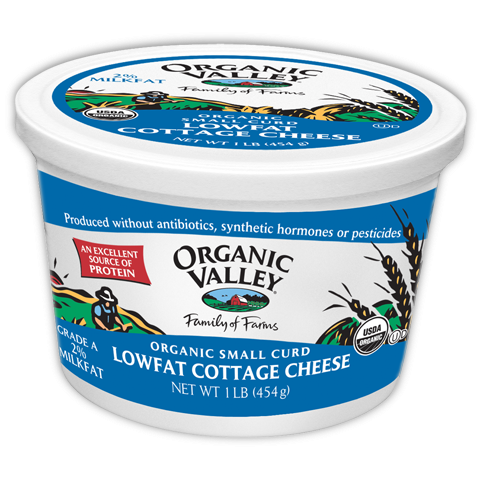 Although lowfat cottage cheese is the "go to" meal for dieters, it contains 450 mg of sodium in just 1/2 cup. 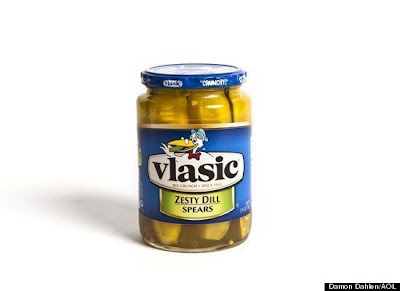 Pickles are very low in calories but contain a lot of sodium. Look for ones with reduced sodium. Olives and other pickled vegetables are also high in sodium. 3 ounces of Dill Spears contains 630 mg of sodium. Just 3 to 5 Kalamata olives contains 230 mg. There are many wonderful foods out there that won't tip the scales on sodium content. Here are a few tips that can help. * Eat mostly unprocessed foods - fruits, vegetables, whole grains, nuts and seeds. * When you do eat food in a jar or out of a box, always READ THE LABEL. Select the low sodium version if it's available. * When reading the label, pay attention to PORTION SIZE. I was pretty surprised to find out that one bouillon cube was actually two servings and contained twice the sodium than I thought it did! 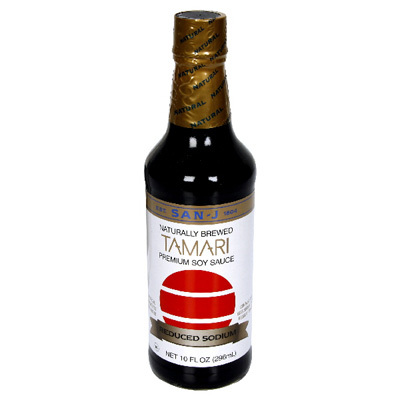 * Limit how much salt or soy sauce you use during cooking. If you use bouillon cubes for your soup base, don't use any additional salt. * Spice it up! The more spices you use, the less salt you need. When I make chili, I never add salt and no one even notices! * Be careful when eating out. Tell the waiter that you prefer less salt in your dish. Most restaurants are happy to accommodate your dietary needs.